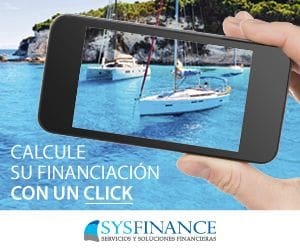 SYS Finance (Iberian Finance Services, S.L.) is a financial consultancy specialized in the nautical and mobile sector. 40 years of presence and involvement in recreational sailing have allowed them to acquire a unique experience and have made them a prime player in boat financing.